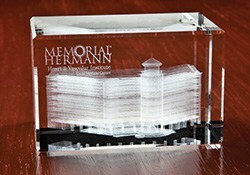 We know that the idea of ordering 3D laser engraved crystal awards can seem complicated and expensive! After all, it’s 3D, lasers and lots of technical stuff, right? At 3D Laser Awards, we take care of all the “hard stuff” and make it easy for you to receive an amazing 3D crystal gift or award, and at an amazingly affordable price! How do we do it? Our five step process makes it a lot easier than you might think! Give us your wildest idea! Give us your “back of the napkin” award sketch and let our talented designers turn it into reality! 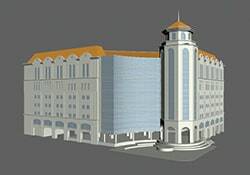 We work from photos, blueprints, sketches, vector art, and almost any kind of CAD file, 3D or not. We have a library of thousands of 3D models that you can use for free! And, if that doesn’t get the job done, we have access to tens of thousands of others as well as the in-house talent of our own 3D artists! Once we have finalized your design concept, our designers get to work creating a 3D version of the desired artwork. We use the same tools used by Hollywood designers to create the latest animated films. This allows us to create 3D renderings for review and feedback. 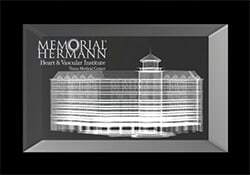 With over 13 years of experience in creating 3D artwork especially for laser engraving, our artists are the “best in the business”. Our operating motto is “no surprises”! We go to great lengths to ensure that what you get is exactly what you want and expect. To that end, we provide spec samples, free proofs, 3D animated virtual samples, and pre-production samples for orders of 100 or more. Our free 3D animated virtual samples allow you to view your artwork from a 360o point of view. Literally you get to see a virtual model of your cube as a video! Once approved, the fun starts! 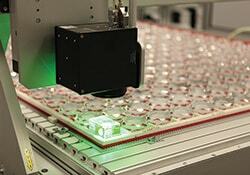 Our large production lasers are the best available. 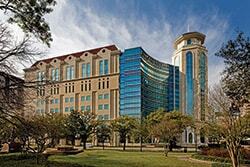 We can load them with hundreds of cubes and engrave them 24/7, unattended, and on nights and weekends. When engraving is complete, we inspect each piece, clean them and pack them in our premium satin-lined and padded gift boxes. If personalized, each cube is labeled so you don’t have to sort through them yourself! All of the above work is worth nothing if your order arrives late or damaged. This is why we pack your order into new shipping cartons liberally lined with closed cell foam to provide further protection for your crystal. FedEx, UPS and LTL shipping is available per your direction. Drop ships are no problem and all orders are blind shipped with your address. Once shipped, all package tracking information is sent to you immediately.